Beautifully restored DVD available from Milestone Films, USA. Short animated film. Puppet opera by Erik Satie. Directed by David Koff. World TV and non-theatrical and educational markets – especially US. All world TV markets incl. USA PBS International educational resource. At School, Stowe School, Buckinghamshire, UK. Camera operator for 45 minute adaptation of Animal Farm in which the pigs were replaced by the school First Fifteen rugby team and the oppressed ordinary boys took on the roll of the exploited farm animals. Final scene showed the sports pavilion defended with Bren guns being stormed by 150 boys with rifles and grenades. Camera was a pre-World War II three lens, clockwork, 16mm Bolex. Three twenty minute newsreels covering events, sports and arts and social, during school term. These newsreels were my own innovation and were edited to be projected with live last minute commentary and a built up but imprecisely synchronised music tape. The newsreels were shown at the last cinema show of the term. Major sports and other events often took place close to the end of term. The newsreels had to be made very fast in order to be topical. It was always a drama to get the processed film back from the laboratory in time. THE GROOM’S REVENGE. A forty-five minute short feature film which I scripted, directed, photographed and edited. The story: A maltreated groom, beaten to the ground with a horsewhip in the 1700s by the Duke of Buckingham, returns to haunt the school. The embittered groom selects a young boy and grooms him to burn down the school as revenge. He communicates through dreams with precise instructions as to where to set the fire and how and when to start it. The film climax shows the massive and classically beautiful Stowe house, once country seat of the Duke of Buckingham, burning to the ground. This was achieved by filming the controlled burning of a 3D model of the building made with multi layers of still photographs. The photographs taken from the south front of the building included appropriate perspective interiors as well as exteriors. Michael Andrews played Hinton the young boy. 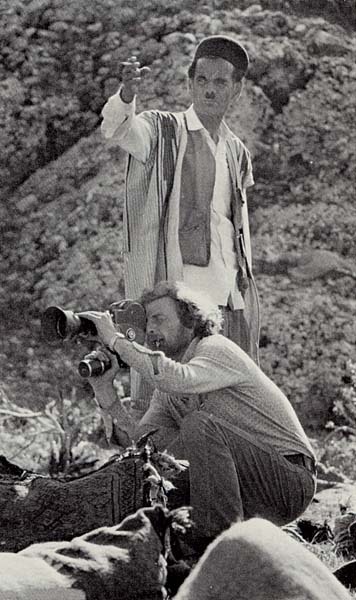 Michael went on to make the classic and spectacular documentary series, THE FLIGHT OF THE CONDOR. He worked with the BBC wild life and natural history unit in Bristol. Mike seems to have been none the worse for having burnt down one of the great houses of England. Although, I just learned that, retired from the BBC, he now he makes exotic jewellery and sells it on the internet – “Now’t so queer as folk”, as they say where I come from. SURVIVING PRINTS: As far as I know, no prints of the five films mentioned above have survived. If anyone knows otherwise, I would love to hear about it or get a DVD. I filmed Fin de Soirée. A musical with a cast of about 70 (as I remember it) devised and directed by the illustrious John Tusa and James Madge. It was made in a large lecture room in the Engineering laboratories during a vacation period. The film was cut to Mozart’s Symphonia Concertanti but was filmed to a jazz band synchronised, in a sense, to the Mozart. Heavy arty stuff. Looked and sounded good when finished. SURVIVING PRINTS: Again, I don’t know of any. Would love to have a DVD if anything exists. Anthony Howarth is renowned as a filmmaker. He has produced, directed, scripted, filmed and presented documentary films for television and for the cinema. Trivia: As a veteran of more than 20 screenings of Minnelli's musical masterpiece, AN AMERICAN IN PARIS, I was over-awed when presented with the Hollywood Film Society's Certificate of Excellence in 1977 by a dapper little man with grey hair and sporting a double-breasted suit –Gene Kelly – Wow! Shown nationwide in U.S.A. and on television, in schools and in universities worldwide. 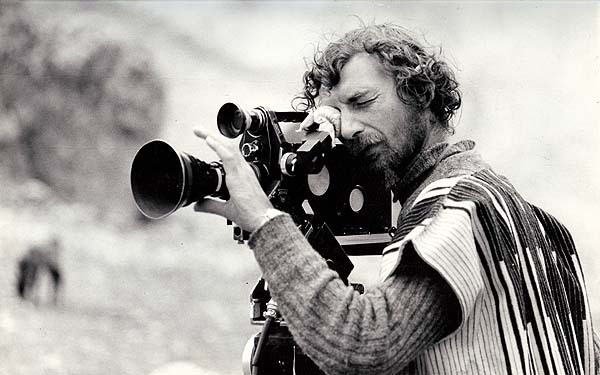 The stunning cinematography in People of the Wind is the work of cameraman Mike Dodds. I, (above), as well as directing, contributed as second cameraman. On the other hand, I was the director and the cameraman on A CAR FOR AFRICA and B25.